Heading south on Rt. 51, continue 1.3 miles past the EconoLodge Hotel. Office is on left. Beside Signs and Banners, Inc.
Sell Your Car in Clairton - Fast, Safe, Fair! 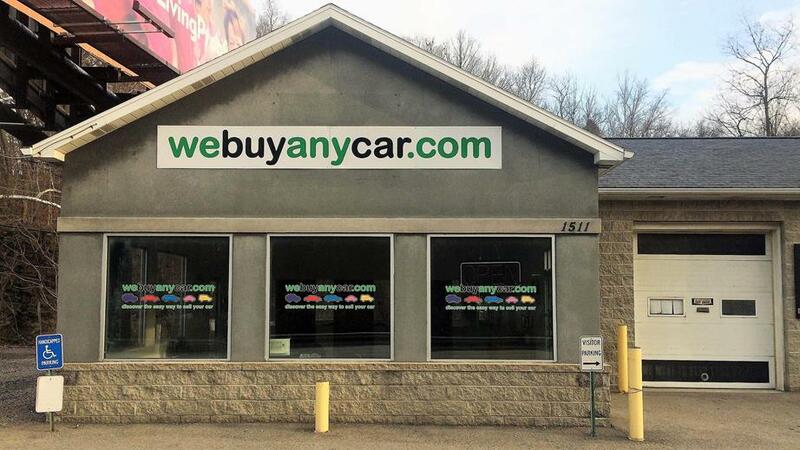 Selling a car in the Jefferson Hills, PA area is now easier than ever! We Buy Any Car in Jefferson Hills, Pennsylvania takes the hassle out of selling your car. The process is simple and straightforward. There's no haggling with sales people, no waiting on a quote, and no surprise deductions. We offer some of the best car values...many times better than most dealer trade-in pricing. Get started now with a free online valuation. Together, we'll set up a convenient time to buy your car. It can take as little as thirty minutes to walk away with a We Buy Any Car corporate check that is able to be deposited that day! We don't discriminate. You can sell your registered car to us regardless of make, model, condition or age. We've listed answers to the most common questions on the frequently asked questions section of the website but if you'd like to talk to someone, you can reach Patrick Sykes who manages our Jefferson Hills car buying center at (412) 387-4278 during branch opening hours, listed above. You'll usually be met by Patrick Sykes, who manages our Jefferson Hills branch. Patrick will firstly check your documentation to ensure you have the correct documents and proofs of identity needed to sell a car. The manager will then conduct a short inspection of your car to check its condition. This usually takes around ten minutes and you can accompany Patrick while your car is inspected. If you cannot arrange a ride home in advance from a friend or family member after we buy your car, our branch manager will have a list of public transportation available in the area.